What type or service you require, with or without hymns, service in Church, at the Crematorium or the use of our own Service Chapel. If you have decided on a burial the funeral director will need to know if there is to be a new grave purchased or a previously bought grave. If you have decided to purchase a new grave you will need to choose which cemetery you wish the internment and who will be the owner of the new grave. If there is a previously bought grave you will need the deeds of the grave or any other documents you may have. If the deeds are lost our funeral director will be able to help you with this. The death must be registered and the green form given to you from the registrar is given to us. 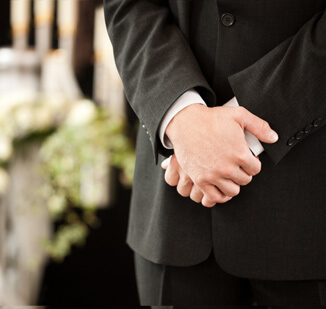 If you have decided on cremation our funeral director will inform the Doctor concerned and arrange for the necessary medical forms to be completed. The death must be registered and the green form given to you from the registrar is given to us. You will also have to sign a Statutory Declaration, these are given by and filled in with our Funeral Director. The person who completes this must be a near relative, or executor and countersigned by another householder who knows the applicant. The medical forms, Registrar’s Certificate and Statutory Declaration for cremation must be with the Cremation authority two full working days before the cremation.